Ukrainians the world around watched in horror as bullets flied and Kyiv burned. The Revolution of Dignity, the Euromaidan, was taking its first victims. Five thousand miles away, in suburban Chicago, community organizers knew history was being made, and new heroes were being born. 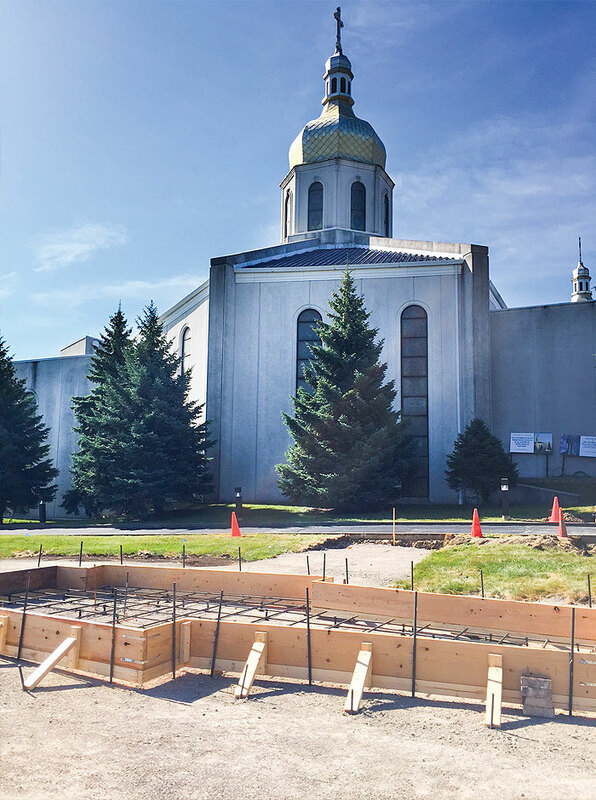 “It’s terrible that we Ukrainians always come together in times of tragedy, but what I saw is something that could be forgotten rather quickly,” said John Jaresko, head of the parish council at St. Andrew Ukrainian Orthodox Church in Bloomingdale. 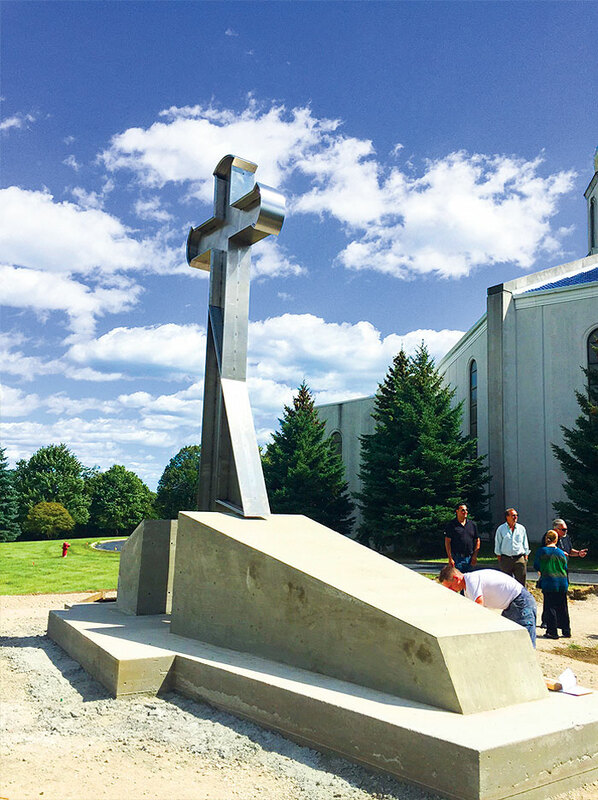 To memorialize those victims, and all new Ukrainian heroes, the community around St. Andrew church decided to erect a permanent reminder to their sacrifice. While the monument may have been inspired by the sacrifice of those killed on the Euromaidan, known as the Heaven’s Brigade, it is being dedicated to all those who put their lives on the line for a free and sovereign Ukraine. 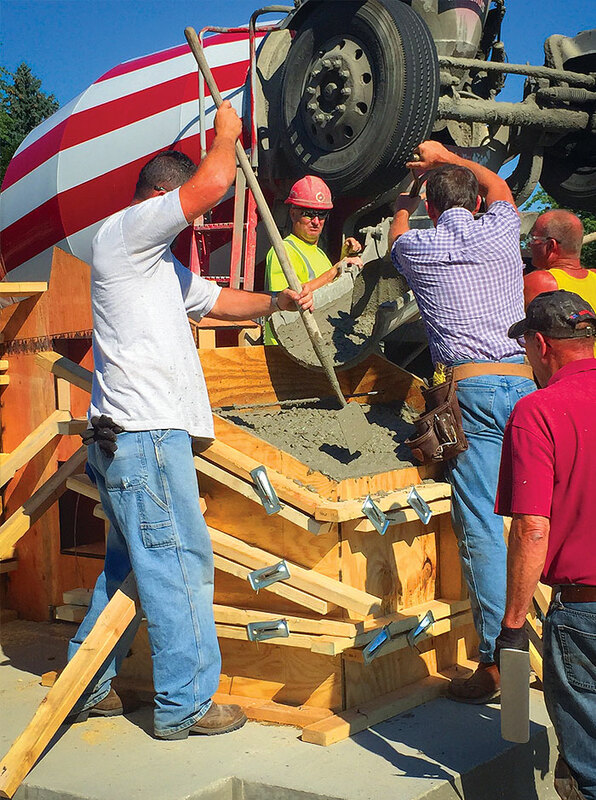 “There really doesn’t exist a monument to all Ukrainian heroes — we have statues of Shevchenko that are very important, or the Ukrainian-American Veterans Memorial which is going up now in South Bound Brook [New Jersey], and is also very important. But there is nothing to the heroes of Ukraine who lost their lives in pursuit of freedom for Ukraine,” he added. 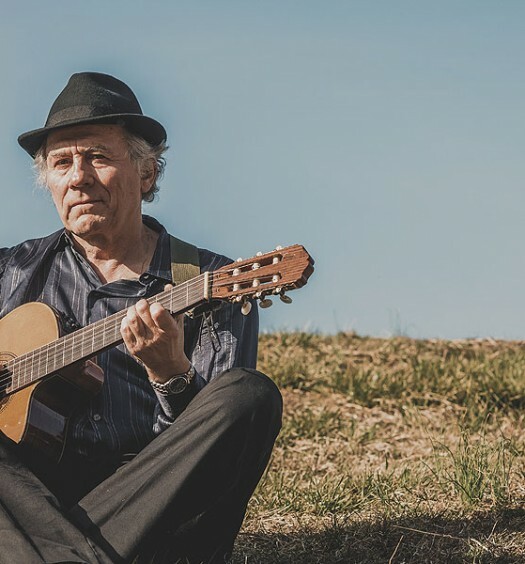 The monument’s design, by renowned Ukrainian artist Yevhen Prokopov, is meant to invoke a sense of reflection, serenity, and seriousness. 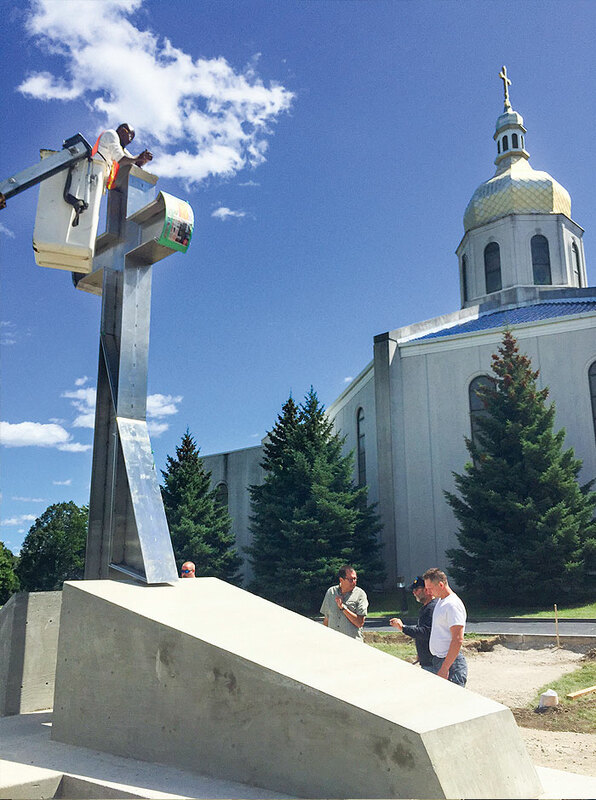 “The cross itself is a Cossack cross, the crosses within represent the people who died on the Maidan, and those who passed away during the centuries fighting, those who are lost, where we don’t know are buried, so the stainless steel is a reflection, a mirror, so we see ourselves in the cross,” said Truchly. But for Jaresko, the Ukrainian heroes’ monument is as educational as it is commemorative, and joins another monument on the church’s premises that honors the victims of the 1932-1933 Ukrainian Famine Genocide, known as the Holodomor. “Hopefully it will become a point of interest for schools, where they can come, take a piece of literature, and learn. We all know that we don’t need more memorial services, every year, since we’re constantly doing that. 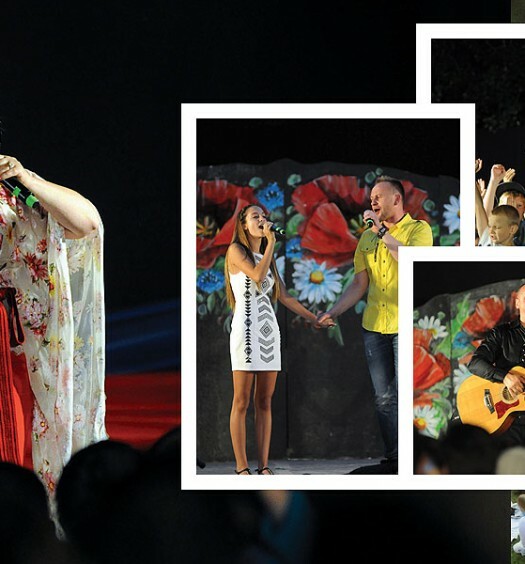 But we need this from an educational point of view and a historical point of view,” said Jaresko. A major part of the project will include a kiosk with artifacts from the Euromaidan, such as bricks and helmets, and printed literature for visitors to take with them to learn about Ukrainian history. “I’ll be driving by and see a van or bus of people walking around the monument, so I’ll ask who they are, let them ask questions. They’ll say they’re from the College of DuPage, for example, and say they bring their classes every year,” said Jaresko. To make the monument a landmark, Jaresko says the Illinois Department of Transportation has tentatively agreed to erect road signs along Interstate 355 pointing people toward the Ukrainian Heroes Monument and the Holodomor memorial. There are also political implications to the monument’s existence, planned to be the only of its kind in the United States. 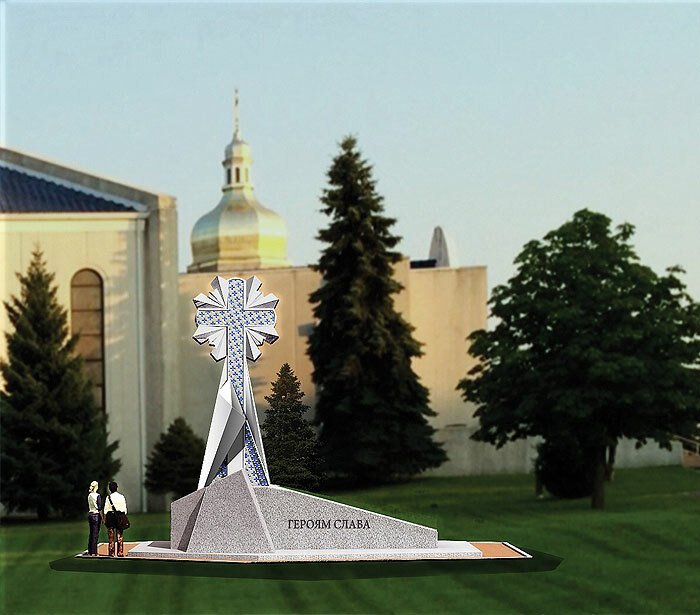 The monument will be unveiled and blessed at St. Andrew church by Patriarch Filaret of the Ukrainian Orthodox Church, Kyivan Patriarchate, during his visit to Chicago on September 20th, 2015. Ukraine’s Finance Minister, Natalie Jaresko, and Illinois Governor Bruce Rauner are among some of the expected dignitaries, along with other representatives from the U.S. and Illinois governments.